Additional Info: The Caravan has parking for two cars. There is also a small games room on the site as well as bbq area. There is a separate laundry and caravan site supply shop. 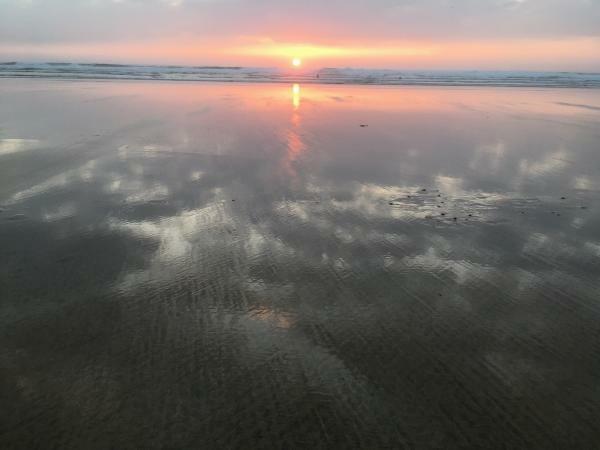 There are many pubs and restaurants all within a short walk from the caravan and of course a magnificent beach too. A £50. Non refundable deposit is required to secure your booking the remainder will need to be paid in advance if your stay. Please specify amount and typ if pet. An added £ 50. Per pet will be required and refunded after stay if the upkeep and cleaning after pet is found to be satisfactory. 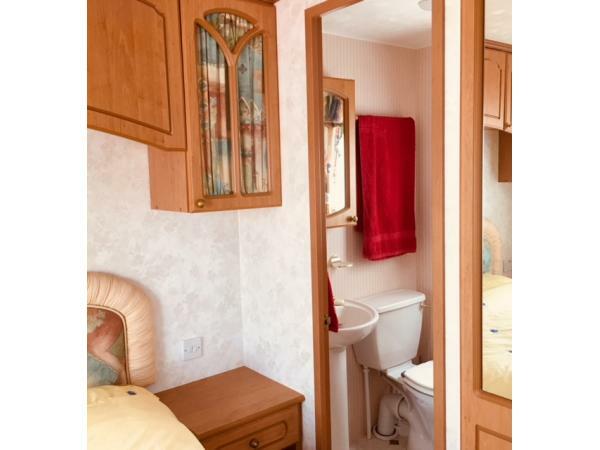 You Welcome to my "Gold Plus” luxury Static Caravan. 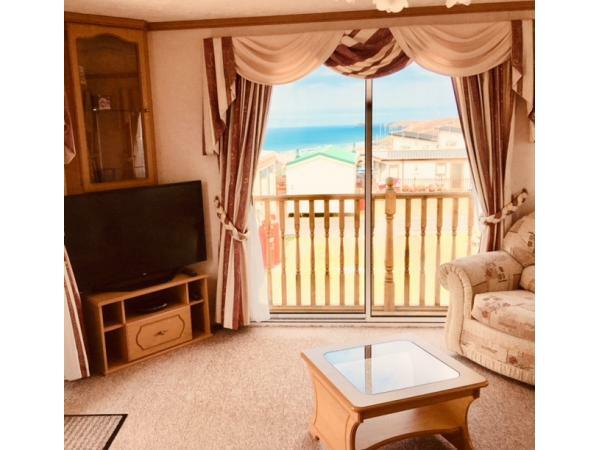 Pemberton, two bedroomed home offers stunning views of the Cornish North Coast of Perranporth. 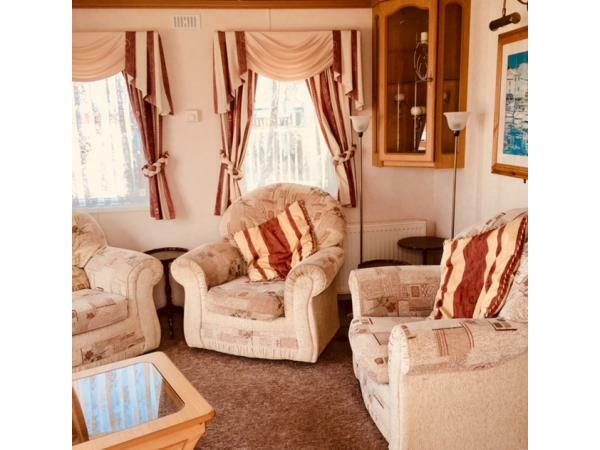 My high spec static Caravan boasts excellent facilities such as central heating and double glazing. Two sets of French doors that open to a decked veranda and sea viewed balcony. THE LOUNGE comprises of a 2 seater sofa and two high comfort armchairs. A 36" widescreen high graphic LG Television and DVD player. 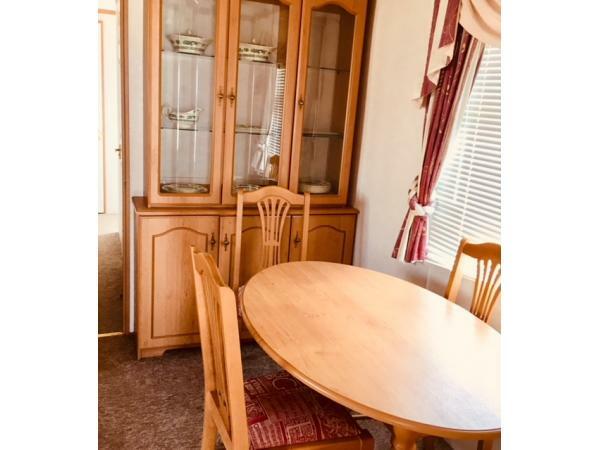 THE DINING ROOM accommodates 4 people with a dining room table and chairs and fitted sideboard. THE KITCHEN has a 4 ringed gas range stove, grill and oven as well as extra storage. 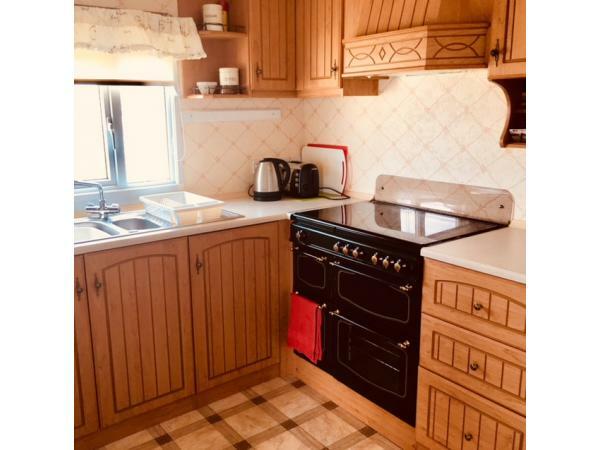 The Kitchen also provides a Fridge/freezer, washing machine/tumble dryer, microwave kettle and toaster. 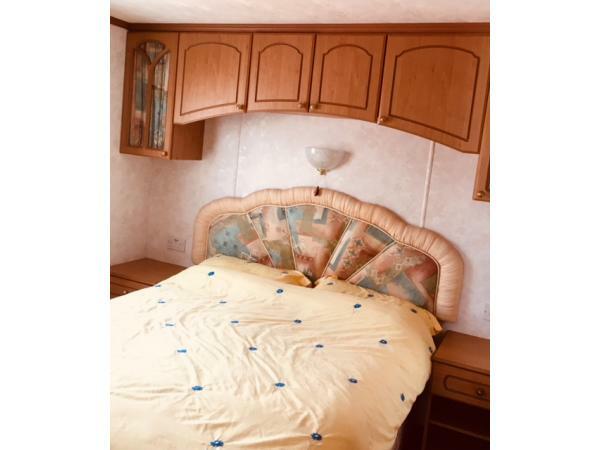 THE MASTER BEDROOM has a kingsize double bed and fitted wardrobes, overhead storage and dressing table with a second television. The room also provides an ensuite bathroom with toilet, shower and handbasin. THE GUEST BEDROOM offers 2 single beds with luxury mattrases and fitted wardrobes. 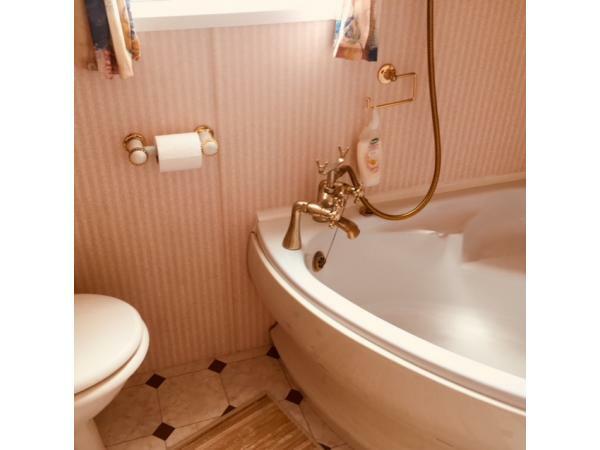 THE MAIN BATHROOM boasts a corner bath, overhead shower, toilet and basin. 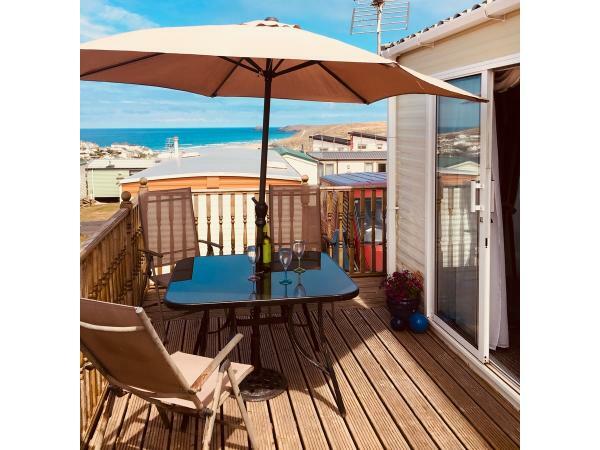 THE VERANDA/DECKING AREA: This sun-trap offers stunning views of the sea and clifftop sunsets. It provides a 4 piece table and chairs with Parasol. There are two car parking bays and outside tap with drying area for beach gear etc. 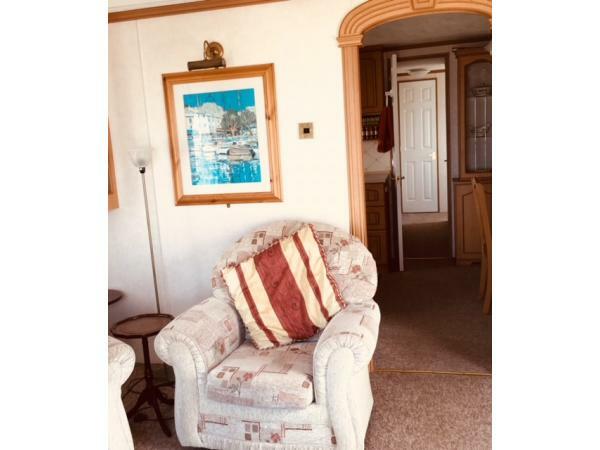 Caravan perfect very comfortable and clean. The view from patio was wonderful. 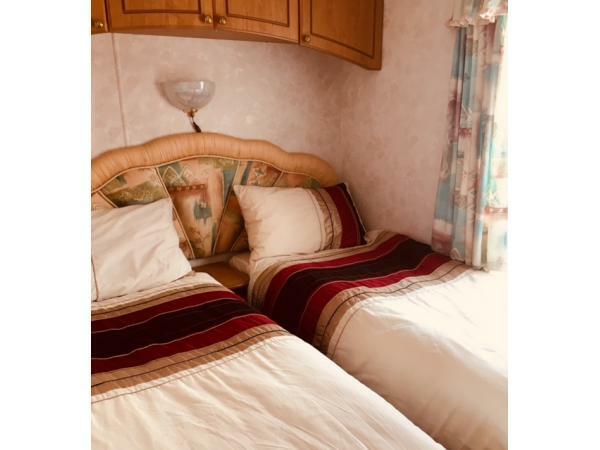 We loved our stay in Natashas immaculate caravan. 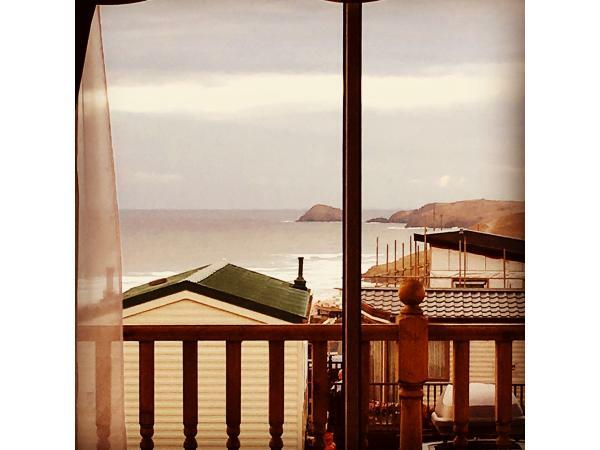 The views were breathtakingly beautiful and we loved dining on the decking area. All we could wish for in the well equipped kitchen. Great communication and very thoughtful touches greeted us upon our arrival. We will definately be returning and would reccomend this to others.